It was 10 a.m. when we were leaving the doctor's office in Providence, RI. I had only had a yogurt much earlier and my tummy was protesting loudly, so Laura and I decided we needed to have breakfast - a big breakfast. 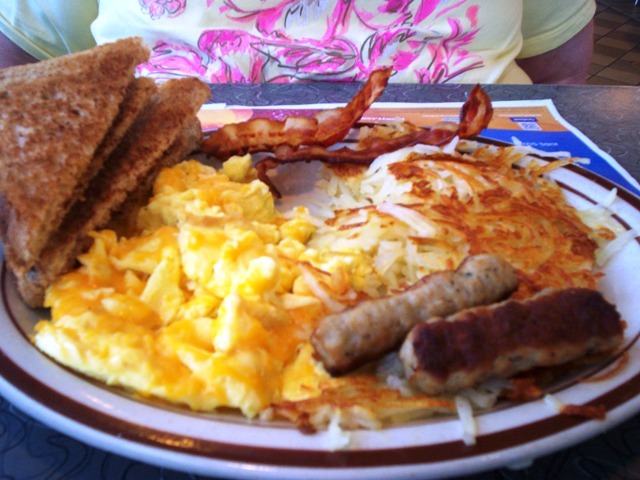 If you want a really big breakfast, Denny's is the place to go. We couldn't wait to get there and drove to the nearest one. In this case it was the one nearest to my doctor's office and was in West Warwick. The place was still busy with late morning diners but we got a nice booth anyway. Our waitress approached with menus and we both ordered iced coffees. Wow, Denny's menu is huge.So many different options and combo's of your breakfast favorites. They have all manner of eggs, meats, breads and pancakes plus specialty treats (check their full menu above). But we were on the hunt for their famous Grand Slam breakfast. When our waitress came back we gave her our order. Laura wanted the bacon avocado burrito, which she had before and loved, and I ordered the All-American Slam ($8.99). Just look at that delectable plate of food. It included three eggs scrambled with cheddar cheese, two strips of bacon, two sausages, hash browns and my choice of two wheat toast (other bread options available). I couldn't wait to dig in. Mmm ... so good. Everything was done perfectly. The eggs were creamy, the bacon and hash browns crisp, the sausage meaty and the toast, well ... toasty. Plus it was all served nice and hot. This was a great breakfast and just what I needed after a dreaded doctor's appointment. Laura and I just ate and relaxed and contemplated the day ahead. 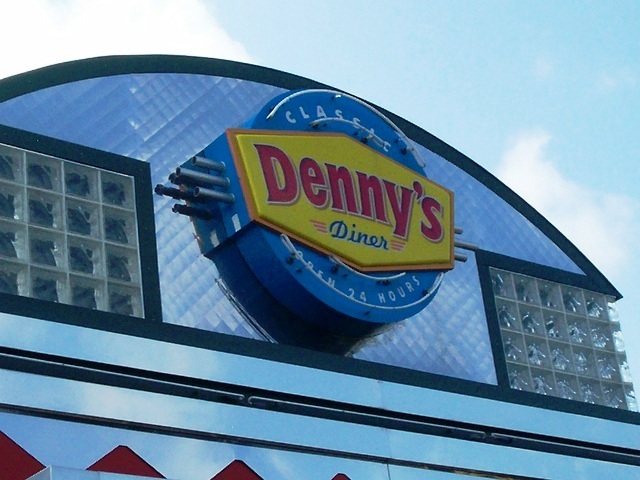 If there's a Denny's near you, give them a try. I don't think you'll be sorry. And I know you won't leave hungry. P.S. The iced coffees were especially delicious. I should have gotten one to go. 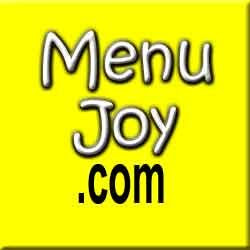 Check out our friends at MenuJoy.com for great area restaurant menus.